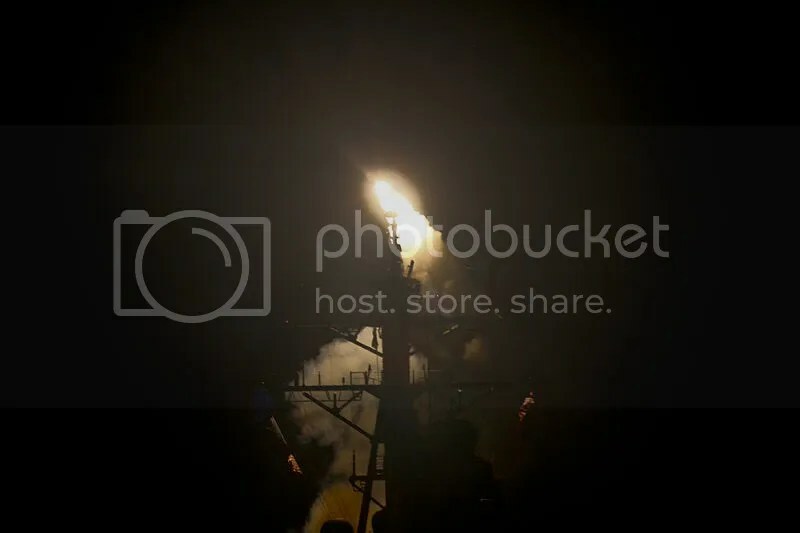 The USS Stout launches a Tomahawk missile against a Libyan target. This isn’t hypocrisy; this is the US intervening when it’s in its interests and abilities to do so. Despite credible humanitarian justifications for US actions in Bahrain and Yemen, hypothetical interventions in these countries fail any reasonable benefit-cost analysis. Bahrain is the home of the US Navy’s Fifth Fleet, and Yemen is an increasingly ungovernable state with deep ethnic divisions and a strong al Qaeda presence. Wars, or in the administration’s terms a “time-limited, scope-limited kinetic military action,” aren’t required to be morally consistent- just because one humanitarian crisis meets the administration’s benefit-cost threshold for military action doesn’t make it hypocrisy if others do not. This criticism also ignores that fact that the humanitarian situation in Libya is much worse than in Yemen or Bahrain — while these governments have killed hundreds of their own citizens, Qaddafi credibly threatened the death tens of thousands. The US didn’t intervene in Libya just because of an imminent humanitarian catastrophe, it did because, in addition to moral concerns, the continued existence of the Qaddafi regime was undesirable to the US. The stability of Yemen and Bahrain, on the other hand, is highly valuable to US interests. This may be immoral, but that doesn’t make it false. Believing the US acts, or should act, for any other motivation is hopelessly naive. Of course, LeVine and Aslan refrain from advocating US military actions against the governing despots in Bahrain, Yemen and Saudi Arabia. But how much diplomatic influence does the US actually have over these rulers? While the US is a large source of funding for the Yemen’s government, it’s not clear if the US could diplomatically deter crackdowns against protesters. Attempting to would incur diplomatic costs for the US, for uncertain gains. Criticizing the administration for “inconsistency” in its response to crackdowns against protesters across the Arab world isn’t just unrealistic, but spectacularly bad policy. Military interventions aren’t an all or nothing choice — the US intervenes when its cost-effective, in its interests, and has a reasonable chance of a desirable outcome. Demanding that the US ignore the vastly different political and military environments in Libya, Yemen, and Bahrain in pursuit of a different moral position is a recipe for unintended adverse involvement in very dangerous situations, and is much more reminiscent of the type of magical thinking that led to the Iraq war than LeVine and Aslan are prepared to admit. There are very good reasons to criticize President Obama’s decision making on Libya — it’s an open ended conflict that’s most likely end-state is a costly stalemate, the intervention seems to fail any reasonable cost-benefit test for the US, and the administration’s decision makers seems to have grossly overestimated the military capabilities of the rebels and strategic effectiveness of aerial strikes. But criticizing Obama for hypocrisy ignores the reality of international politics and limited US influence in the region, and is a poor argument.